Providing opportunities for students in our community to learn about classical music is an important part of Utah Opera’s mission. 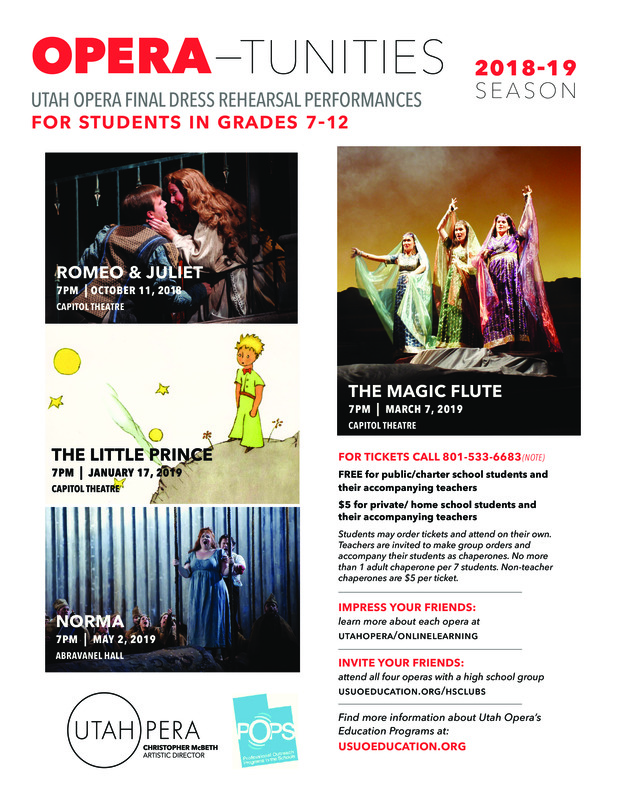 We offer a variety of opportunities for individual students and classes to experience Utah Opera. Junior and senior high school students with their teachers are invited to attend final dress rehearsals of main-stage productions on the Thursday before opening night at the Janet Quinney Lawson Capitol Theatre. Events run from 7 PM to 10 PM. FREE for public/charter school students and their accompanying teachers. $5 for private/home school students and their accompanying teachers. High school students may order tickets and attend on their own. Teachers are invited to make group orders and accompany their students as chaperones. No more than one adult chaperone per seven students will be admitted. Non-teacher chaperones are $5 per ticket. Utah Symphony | Utah Opera hosts masterclasses with visiting guest artists. The public is welcome to audit these classes. Please register below to attend an upcoming masterclass. 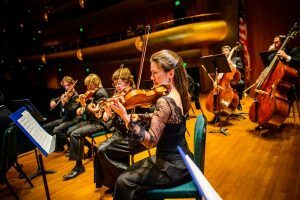 You and your friends can enjoy great performances at a low price by organizing a music club in collaboration with Utah Symphony | Utah Opera. Symphony or Music Clubs: Select four symphony concerts and one opera final dress rehearsal from the provided list. Cost per student is $20 for public and charter schools; $25 per student for private and home schools (basic package). Opera Clubs: Receive tickets to all four final dress rehearsals. Free for public and charter schools. For private and home schools, the cost per student is $20 (basic package). Enjoy! Consider scheduling a tour of one of our buildings or inviting a musician or staff member to speak to your group.